Apprenticeships have a long and colorful history. Where they are highly entered into in Europe, America is lagging behind and needs to catch up. Registered apprenticeships connect those looking for a job with employers looking for qualified employees. Wisconsin was the first state to create a registered apprenticeship, and it was in 1935 when the United States jumped on board with the Fitzgerald Act, celebrating its 80th birthday this year. How Much Do They Cost & How Long Are They? Nothing. Seriously. Registered apprenticeships pay you as you learn the trade, not the other way around. There are approximately 21,000 programs and over 500,000 apprentices in the registered apprenticeship program. Apprenticeships last anywhere between 1-6 years, with the average being about four years. Some apprenticeships have an agreement with community colleges and trade schools, so you’ll have that educational classroom facet of learning your trade, as well. Plus, the credits you’ll earn can be applied toward a degree, if you become so inclined. Your on-the-job training program will usually run 8 hours per day, 5 days per week at 2,000 hours per year. Plus, you’ll have an additional 144 hours of classroom time per year. Classes are usually scheduled in the evening, after you have put in your full 8 hours of apprenticeship on-the-job training. One thing to note: Applying for a job and applying for an apprenticeship are very much the same process. However, some apprenticeships will require you to take a skills test, have a high school diploma or GED, and have some related work experience. There will be a selection committee interviewing you because your capabilities and commitment will be weighed. Don’t worry though; if you show passion, it will be duly noted. Aside from being trained on the job, there are many benefits that go along with being an apprentice. You complete your training with experience so you’re ready to jump in and start earning in your chosen trade. You have the highest standard of industry credentials because registered apprenticeships come with diplomas once they are completed. Not just any diploma, but one issued by the Department of Labor that is good across the nation so, no matter the economy in your area, you’ll be able to find employment elsewhere. You get paid in accordance with your skill so, the more you learn, the higher your pay is. But to start, you’ll be earning around half of what an experienced tradesman earns. Another cool thing about apprenticeships is that you have no college debt so, the minute you start earning a salary, it doesn’t go to paying off any school loans. Very often, the company you apprentice for is the company you’ll be employed with once you finish your training. So, you don’t have to get used to a new employer and their ways, you already have your foot all the way inside the door. Plumbers, Pipefitters, and Steamfitter: This trade earns a median salary of over $51K yearly. Apprenticeships are the norm, but some go to trade school instead. Either way, an apprenticeship is necessary. 12% growth is expected through 2024. Skilled trades are in dire need of more qualified workers. 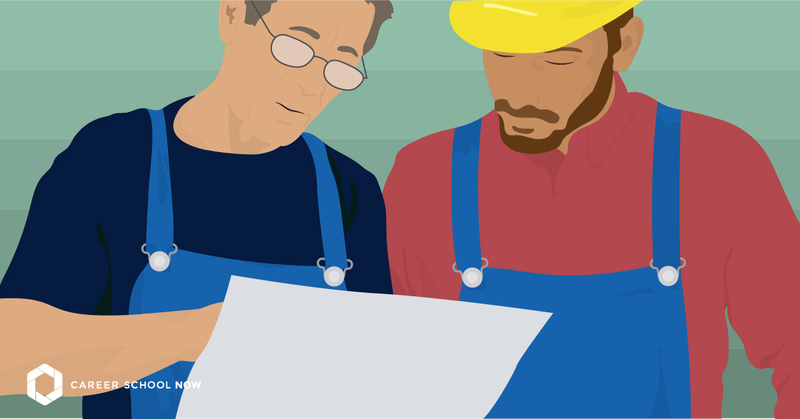 There are about to be millions of job openings over the next few years due to baby boomers retiring, and there are not enough skilled tradespeople to step in and take over. This loss is potentially devastating to our infrastructure. So, if you’re considering a skilled trade career, or looking to make a career change, now is the perfect time. Our nation needs you! Is Online College A Good Idea?